Joe Allison was born on October 3, 1924 in McKinney, TX. After graduating from Murray Jr. College in Tishoming, OK, he worked as a commercial artist before taking his first radio job at KPLT, Paris, TX in 1943. A year later, Allison was hired at KMAC in San Antonio, TX, where he met Tex Ritter. He toured the US and Canada as MC for Tex Ritter's show. Allison worked in Memphis radio during the late '40s. In 1949 he moved to Nashville and broadcasted "Noontime Neighbors" and "Tin Pan Valley" on WSM and worked as a DJ on WMAK. In 1953, he moved to KXLA in Pasadena, CA. and also hosted "Country America" for ABC television. He wrote best-selling country songs including "Live Fast, Love Hard, Die Young" for Faron Young, "Teenage Crush" for Tommy Sands, and "He'll Have To Go" for Jim Reeves, subsequently recorded by Elvis Presley, Bing Crosby, Guy Lombardo, The Mills Brothers, Tom Jones, Eddy Arnold, and over one-hundred different artists worldwide. In 1960, he moved to KFOX in nearby Long Beach. That same year, he founded the country department at Liberty Records and signed Willie Nelson. In 1964, he won the CMA Founding President's Award (now called the Connie B. Gay Award). Allison returned to Nashville in 1965 to head the country division of Dot Records, and in 1967 he became head of the country division of Capitol Records. He retired in 1974 and worked as an antique dealer. 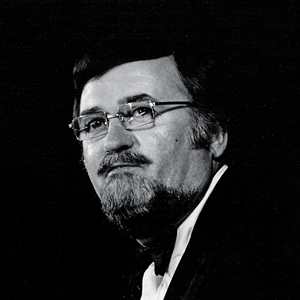 Joe Allison was inducted into the Country Music DJ Hall of Fame in 1976. Allison died on August 2, 2002 in Nashville, TN.